1. The depth of the soil at which safe bearing strata exists. 2. The type and condition of soil. 3. The type of the superstructure. 7. 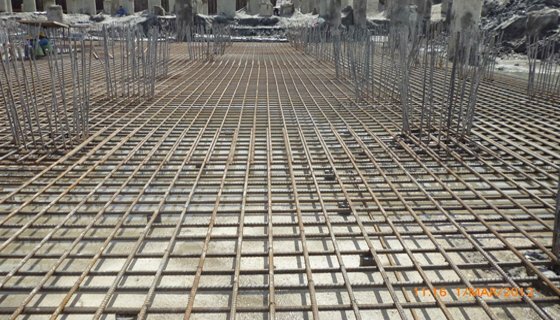 Mat or Raft foundation. It is a component of shallow foundation which distributes the weight of a load bearing wall across the area of the ground. It is also known as wall footing. As the name suggests, a spread is given under the base of the foundation so that the load of the structure is distributed on wide area of the soil in such a way that the safe bearing capacity of the soil is not exceeded. It is square, circular or individually rectangular slab of uniform thickness, provided under each column. The main purpose of using stepped footing is to keep the metal columns away from direct contact with soil to save them from corrosive effect. They are used to carry the load of metal columns and transmit this load to the below ground. 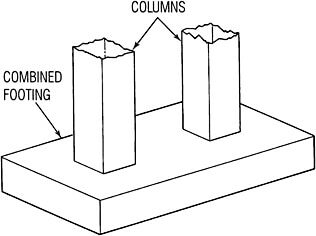 When two or more columns are supported by a footing it is called combined footing. 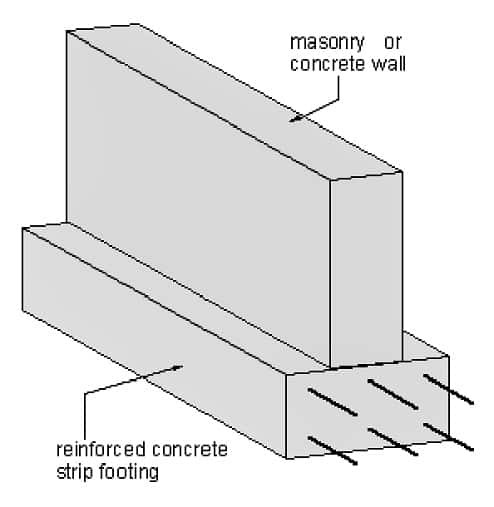 This footing may be of rectangular or trapezoidal in plan. 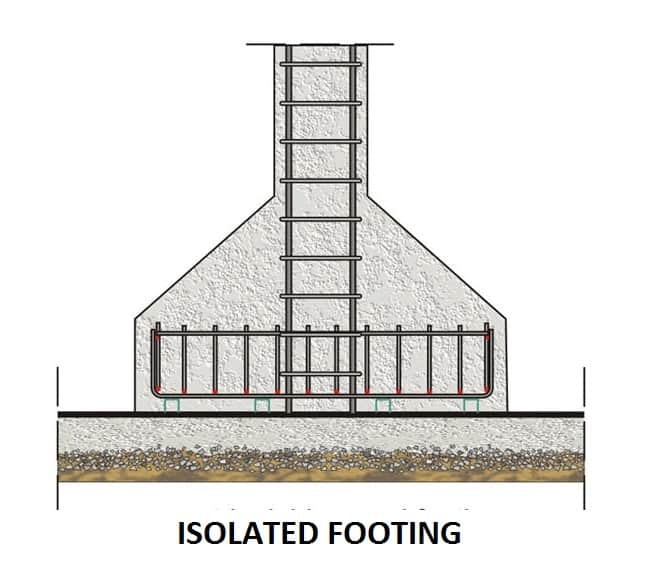 Combined footing is provided under following situations. When columns are close to each other and their individual footings overlap. Soil having low bearing capacity and requires more area under individual footing. The column end is situated near the property line and the footing can not be extended. In such footing, the outer and inner column is connected by a strap beam, does not transfer any load to the soil. The individual footing areas of the columns are so arranged that the C.G of the combined loads of the two columns pass through the C.G of the two footing areas. Once this criterion is achieved, the pressure distribution below each individual footing will be uniform. This foundation covers the entire area under the structure. 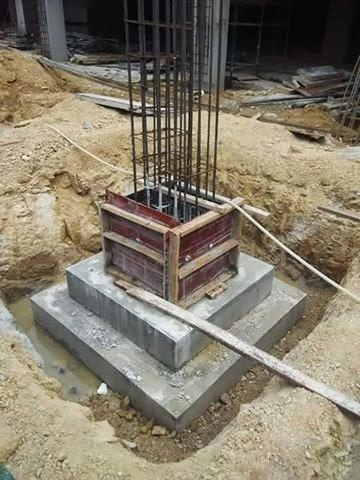 This foundation has only RCC slab covering the whole area or slab and beam together. Mat foundation is adopted when heavy structures are to be constructed on soft made-up ground or marshy sites with uncertain behavior. 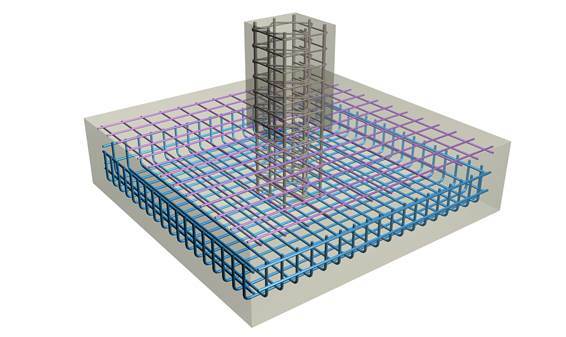 Mat foundation is also known as raft foundation. 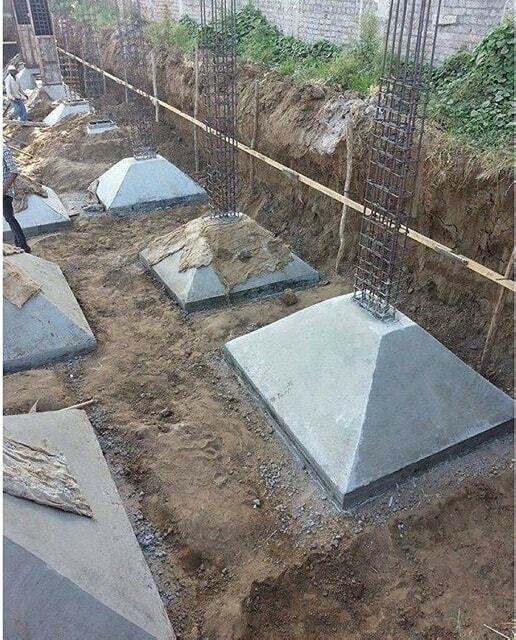 The footings having sloping top or side faces are known as sloped footings. This type of footing is useful in the construction of formwork. If you liked this article then subscribe to our newsletter. Nice. 10Q very much you kind persons. very nice.10Q very much you kind persons. I am speech less your post is very useful and helpful in engineering senses .they are all applied and are used directly in work . I am speechless your post is very useful and helpful in engineering senses .they are all applied and are used directly in work. very nice knowledge of civil engineering.